Yogyakarta Bromo Tour 2 Days 1 Night, Mount Bromo Tour from Yogyakarta the ride quite long and tiring by trip for 10-11 hours drive. However, by transportation’s standard tourism with AC double blower adequate so the long ride wasn’t too bad. If you are planning tour to bromo and you want informations about bromo tour package over there is easy. Mt Bromo is the most famous tourist destination in east Java, most agent travel in yogyakarta offer it the yogya bromo tour package 2 days 1 night ended in surabaya or bali. 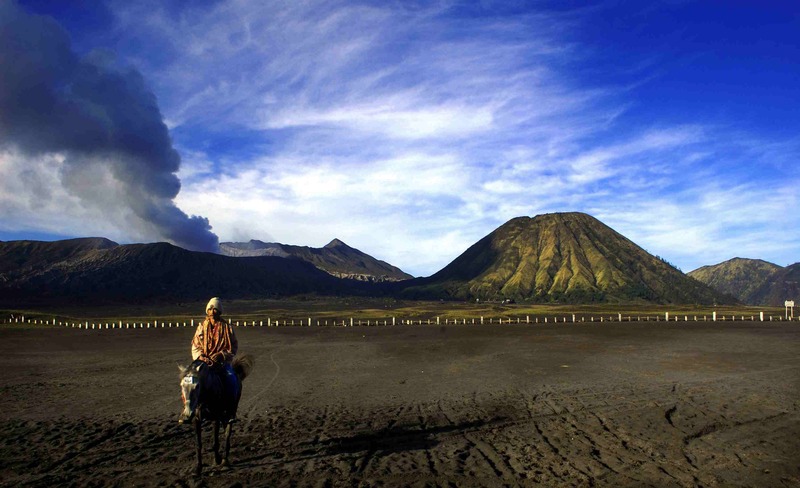 Yogya to mount bromo trip 2 Days 1 Night drop off Surabaya – Banyuwangi Port to Bali, the travel package to visit Bromo directly from Yogyakarta with duration trip for 2 days 1 night. Travel Package Yogyakarta to mount Bromo start by pick up from your hotel in Yogyakarta area and finished trip to Surabaya or ferry port to Bali. Lunch,dinner,All personal expenses such as room service, laundry, telex, facsimile, telephone etc.